Happy World Water Day! 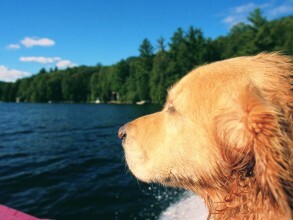 May Everyone Have Healthy Water – Including Animals! Did you know that 884 million people worldwide live without access to clean water? That’s about three times the population of the United States! Thankfully, organizations and initiatives like Oceana, No Water – No Life, and, World Water Day are trying to preserve the Earth’s water sources and work towards achieving a goal of sustainable, clean water for everyone (humans and animals like!) on the planet. In honor of the upcoming World Water Day, which occurs every year on March 22, we’re bringing you the top five safe-n-chic bowls in which to serve your dog some of the precious wet stuff. Remember: when you’re shopping for a water bowl for your pet, always look for BPA, lead, and phthalate-free products; stainless steel tends to be the safest bet, but ceramics, glass, and eco-friendly plastics are all responsible options, if you do your research first. If you’re the owner of a prince or princess pet, these toile ceramic bowls from eco-friendly boutique EarthDoggy might be just the thing. The elegant design, available in 3 colors and sizes, will accent your kitchen décor and make your puppy feel like royalty. There are also matching food storage and treat canisters, so you can create an ensemble! This 36-oz convertible canteen and travel-bowl is perfect for dogs who like to take their owners on trips to the great outdoors. The canteen is perfect for day hikes, overnight camping, or car trip, and will keep your dog hydrated and happy wherever you might roam. 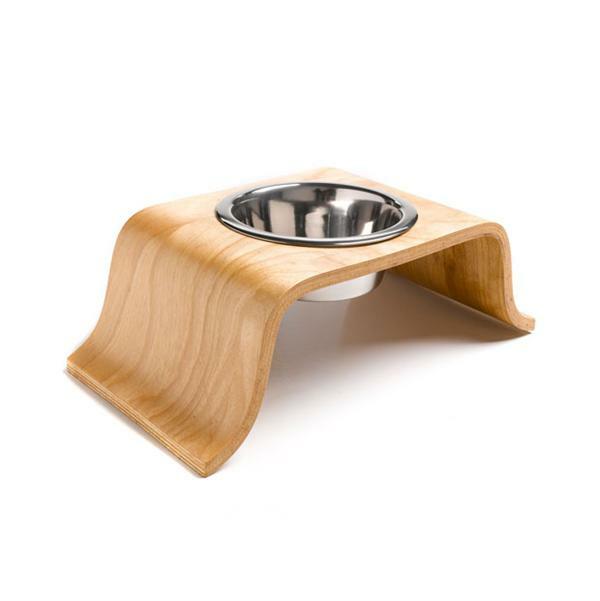 Touted as “a modern bowl for the urban pet,” the elegant combination of birch, maple, and stainless steel ensure that this water dish is both natural and fashionable. Perfect for any modern-styled home, the Little Bend Bowl is elevated to maximize your pet’s comfort. If country living is more your style, this adorable pail-shaped pet dish might be just the thing to make your dog feel like they’re home on the range (even if “the range” is Park Avenue!). Made of high-quality ceramic with a wooden handle, this 32-oz bowl is sure to satisfy. Constructed of sturdy, waterproof plastic and featuring three individual stainless-steel bowls, this minimalist feeder is perfect for homes with multiple animals. This fully-adjustable structure comes in sizes ranging from 4-to-8-inches tall, so there’s a design to suit all your animal-feeding needs. Don’t forget – not every person and pet has access to clean water, let alone cute dishes! If you want to learn more about the water-related issues facing our planet, visit World Water Day’s FAQ page. After you purchase a present for your pooch, consider donating to one of these great organizations and join the fight for clean water for all! Next articleMUST READ! FUNNY! What The Easter Bunny Has Taught Us!